Anyone wanting to buy a used car will no doubt do some online comparison shopping for auto loans before taking the dealer's finance option at face value. At least, that's what you should do if it's something you haven't considered yet. Obtaining the best car financing is important because a better loan will help you save money on interest over the entire life of the loan. Comparison websites exist for this specific purpose. They allow you to compare auto loan rates instantly and at a glance. Some websites will require you to enter in data prior to getting a comparison listing. This is because auto loan rates can vary by location and according to the make, model and year of the car you will be purchasing. Because of this, you will most likely need to enter your zip code and the car information. If you don't have a particular car in mind, choose something similar to what you are looking for, such as a small sedan, an SUV, minivan, or pickup. It's best if you have already chosen the car you want to buy because the car loan quotes will be more accurate during the preliminary comparison shopping. Certain websites even have the option to compare cars according to your budget. 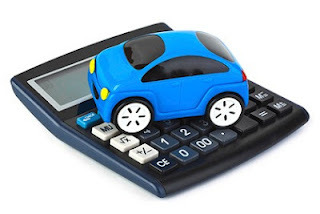 This can help you decide which vehicles you can make the monthly payments on. Be aware that some dealerships offer financing that could be considered scams. Yo-yo financing is one of them. This happens when the dealer says that you are approved at a certain interest rate. You sign all of the documents at the dealership and drive away, thinking that you're free and clear. Soon after, the dealership calls to inform you that financing was denied and you have no choice but to accept the car loan at a higher interest rate. If you don't, your car will be repossessed. To avoid this, ask to see the loan authorization number to make sure that you are approved and do this before signing anything. If any phrases like "spot delivery" or "temporary conditional" appear in the loan documents, do not sign them. Dealers also make money from their financing department, sometimes even more than they make from selling cars and they make this money by offering extended warranties and other add-ons. This doesn't mean that you shouldn't consider the extended warranty because it may come in handy, but what is that going to mean for your monthly payment? Stay on the lookout for other hidden fees like dealer markup fees. Otherwise known as "dealer reserve," this simply refers to when a dealer marks up the loan interest rate a couple of percentages. This means that a rate of 6% could be hit with a dealer markup of 2%, bringing your total to 8%. There is nothing in the loan documents that indicates this markup, but you can potentially negotiate your interest rate if you ask. The dealer will not be able to give you a rate below the base rate, which is based on your credit score, so knowing your credit score and your pre-approved interest rate comes in handy. It certainly gives you more negotiating power.